It’s Time for an Adventure with NIC +ZOE. From graduation to a night on the town, summer is basically one big party! 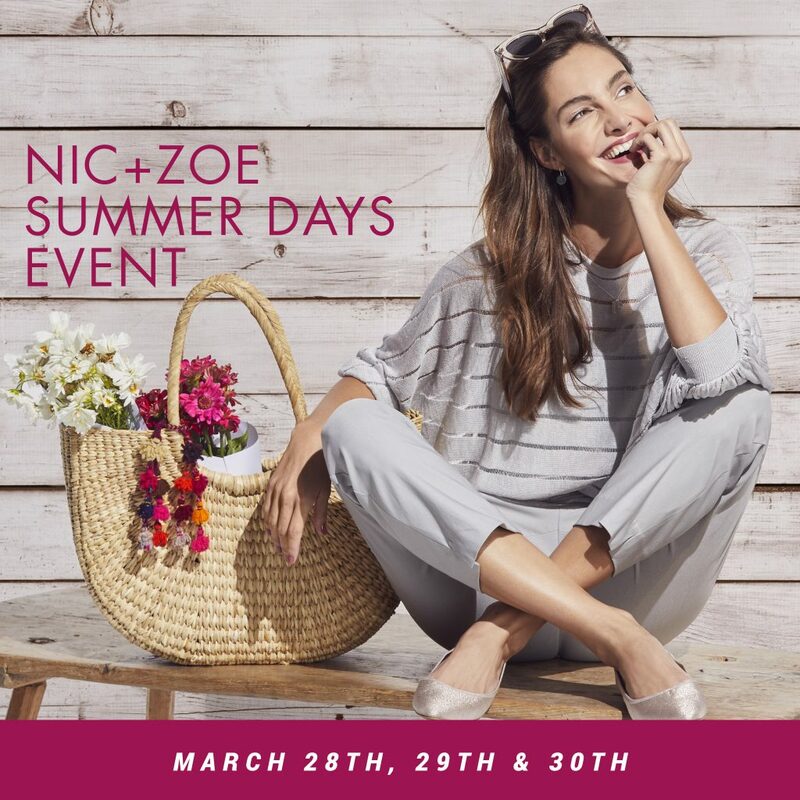 Let us dress you for the occasion in cool, chic, comfortable NIC + ZOE. Join us March 28th, 29th & 30th. We hope to see you there!